Based on hybrid cloud technology the UniFi Cloud Key is an integrated programming controller. The device provides control over varied UniFi series devices. The CloudKey is a small UniFi device controller. It is equipped with one Ethernet port with speeds of up to 1 Gb/s and PoE standard. It has a memory card slot and a microUSB slot which can be used to power the device, and a reset button. The device provides users with the ability to manage and configure UniFi series products. The use of the device, similar to its deployment, is very intuitive. The Cloud Key provides ease of use and security. When designing the Cloud Key the manufacturer focused on providing the best possible features in a compact form. 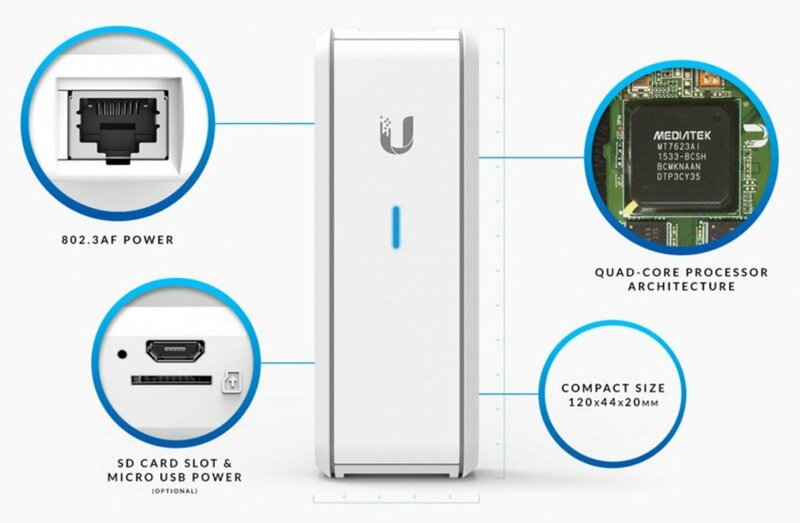 Ubiquiti combines efficiency and scalability with the hybrid cloud technology. The company enables access from any point in the world which eliminates the barrier of distance and allows for greater flexibility. The device is an answer to the needs of modern users, perfectly providing help in day to day work and entertainment. The UC-CK is a universal device. By giving access to all UniFi devices it allows for monitoring and provides security.